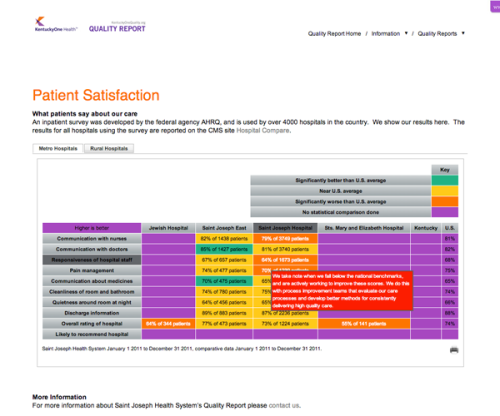 Saint Joseph/KentuckyOne needed an automated way of displaying quality reports. We built a custom backend to allow the generation of interactive quality data. We also provided a shortcode plugin to allow a WordPress frontend to include the generated reports.